Associate Professor Desha, an Engagement Director within the university’s School of Engineering and Built Environment, has dedicated her working life to helping solve complex urban design issues. Building on nearly two decades of sustainable development advocacy, she plans to use her presentation at Tomorrowland (6 September, 2018) to inspire others to move beyond ad hoc examples to use more innovation in their design. Associate Professor Desha, who is also a Director of the Adapter – Digital Earth Node research group run through the Cities Research Institute – says with the impacts of climate change already being felt, it is time Australians began investing in greening urban environments to create “vibrant, thriving cities”. “We need green fortification but not in the way engineers traditionally do fortification which is stronger, fatter, wider and generally less responsive. Green fortification is about acknowledging where nature can physically protect us from heat, wind, rain, flooding and storm surge, creating cities that are strong in the face of impacts that are coming our way and others that are here already. She says this could involve anything from vegetation adorning our walls, rooftops, streets and harbours through to investing in structures and processes that emulate nature in their forms and functions. Associate Professor Desha hopes that those who attend her presentation at Tomorrowland will go away inspired by the potential to create nature-inspired, nature-loving and locally appropriate cities, and more confident in the ways they can use nature both inside and outside buildings to increase overall wellbeing. 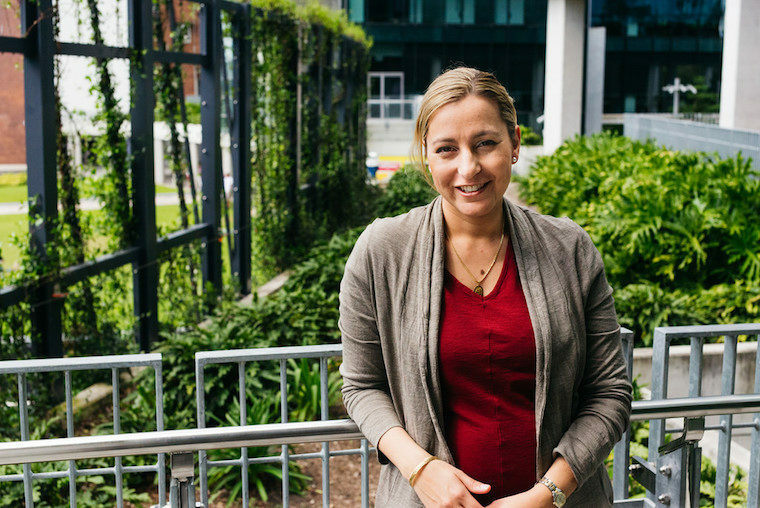 Associate Professor Desha says she and her team are currently investigating opportunities to link nature and health, through research into healthy hospitals, healthy schools, and healthy aged care. She cites KTP hospital in Singapore and Lady Cilento Children’s Hospital in Brisbane as good examples of what is possible. She is now documenting the business case to make buildings such as these a reality everywhere. “If people walk away with ideas about how to integrate nature and nature’s ideas into their next project, then that would be a definite win,” she says. Associate Professor Desha says she is also excited by the list of speakers at Tomorrowland, with the opportunity to hear from experts across the sustainability spectrum. She says events such as these provide the perfect platform for proactive thinking and are a great source of inspiration when it comes to planning for the future as well as the precedents already set. These types of events are critical to moving forward, she says.